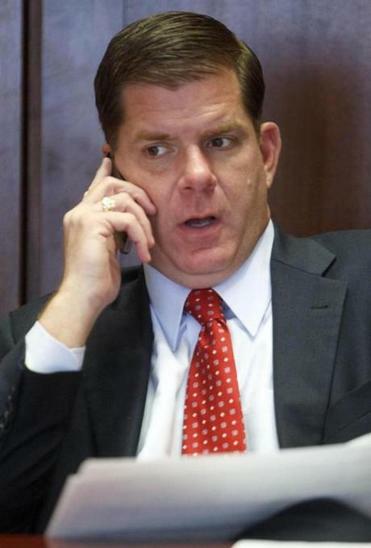 Mayor Martin J. Walsh withdrew his controversial proposal Monday seeking the authority to waive the residency requirement for top city officials, acknowledging the plan had sparked an unexpected backlash. In its place, Walsh filed an ordinance that would give high-ranking aides covered by the residency requirement a year, instead of the current six months, to move to the city. The rule would effectively give two of Walsh’s top appointees another six months to relocate. City councilors welcomed the new proposal, but they must act quickly: Under current law, the two aides have until July 6 to establish residency in Boston. Walsh’s quick reversal offered a glimpse of the new mayor’s willingness to back away from an unpopular initiative. In an interview, Walsh said he had intended “a little bit of a policy shift” on the residency requirement, but the public perceived it as a major change. Last week, Walsh proposed giving the mayor the power to waive the residency requirement for 75 to 100 department heads, cabinet chiefs, and the mayor’s staff. Residents called City Hall to voice their displeasure, and several city councilors objected to the proposal. Walsh had pledged to use exemptions sparingly, but he said he might grant retroactive waivers to people he had already hired. One of his top aides, Joseph Rull, grew up in South Boston but now lives in Norwell with his family, and is one of the two aides facing the July 6 deadline. Rull, the chief of operations, put his home on the market in February but pulled it off in March and the property is not now for sale, according to real estate listings. On Monday, there was no for-sale sign in his yard. The residency law does not prevent employees from owning property outside Boston, said Walsh’s press secretary, Kate Norton. Rull intends to move to the city in the required time frame, Norton said. Walsh described him as a crucial piece of the new administration. Interim Public Works Commissioner Michael Dennehy lives in Milton and faces a similar deadline. Dennehy’s home is not on the market, according to real estate listings, and there was no for-sale sign on the property Monday. Walsh’s chief financial officer, David Sweeney, bought a home last year with his wife in Milton and has not put the property on the market, according to real estate listings. Sweeney has until November to relocate. Corporation Counsel Eugene L. O’Flaherty lives in Chelsea, but Walsh said O’Flaherty recently purchased a condominium in Charlestown. O’Flaherty has until August to move. Boston instituted a residency requirement in 1976 for city employees, but the rule has been diluted over the past four decades. State law exempts teachers, and almost all other unionized employees can move to the suburbs after 10 years. Right now, less than 43 percent of Boston’s 17,469 employees are required to live in the city, according to the Walsh administration. The residency rule largely affects new, lower-paid workers and top officials appointed by the mayor. In the City Council, the revised initiative was greeted with enthusiasm. City Councilor Timothy McCarthy said he was “not a fan” of the mayor’s first proposal, but was “very much in favor” of the new ordinance. McCarthy said the quick reversal showed that Walsh was truly open minded. Flaherty is chairman of the government operations committee that will review the proposal, and said it was “not out of the realm of possibility” that it could be passed by July 6. Samuel R. Tyler, president of the Boston Municipal Research Bureau, said he liked the initial proposal that would have allowed residency waivers because the mayor needs flexibility to run a city with a $2.7 billion budget. • Discuss: Should top officials live in Boston? globe.com Follow him on Twitter @globeandrewryan.